Welcome to the Survivor: Online web site. 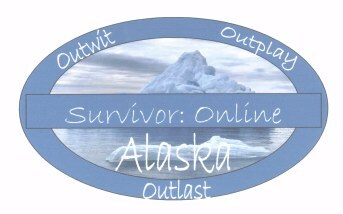 Here you can visit all of the Survivor: Online game sites! Season: 1, which is Alaska, is under way! Applications for season 2 are now being accepted! Click on the logo for the game you want to visit! I have some bad news. The Survivor Online series is being cancelled due to a lack of interest from others and my already busy schedual. Since the finalie should've happened by now, I can say that Tony K was the winner of season 1. There will be no season 2. I will change this site into my personal site someday. Survivor: Alaska has been named "Best Breakthrough Game" by Chrizmo!!! Check out my UR site! Click on Ultimate Ride to the left.